Our foods have been put together for you with the greatest of thought and planning. We are serious about you having the correct caloric intake and nutritional balance no matter what life is throwing at you. 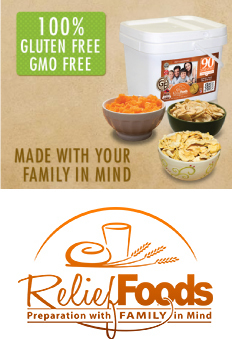 We believe in providing and producing 100% GMO free food that has the stamina to last 25 years and hold it taste and Nutritional value. We value our customers and strive to provide a true world class experience focused on education and one on one help whenever needed. Our food speaks for itself, but our people here at Eat Tomorrow will help you customize your food supply, help you proactively prepare, and make sure you have everything you need to provide for yourself and your family when the time arises. This is something we don't take lightly. Give us a call today and let us prove it to you. Today we will teach you what and how to prepare so that no matter what happens tomorrow you will be able to eat. 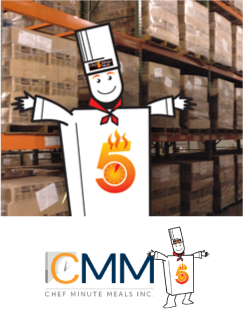 Chef Minute Meals, Inc. (CMM) is a small business, HUB Zone located, manufacturer that sells self-heating, shelf-stable meals. The company’s Head office and USDA certified factory is located in Johnson City, TN. We are committed to the continued development of meal products that are valued for their high quality taste and excellent nutritional content, as exemplified by our core product the Chef 5 Minute Meals™, a preservative free meal that is low in sodium. Treating associates with respect, rewarding them for good work and loyalty to the Company’s quality commitment are core principals. CMM strives to be fair and open in all dealings with customers, distributors, and suppliers through adherence to principles of integrity, transparency and accountability across the board. We specialize in the preparation and distribution of high quality emergency food, disaster food, meals to-go, and MRE’s. To truely understand our mission you must first know that NOT ALL emergency storable foods are created equal. As preppers ourselves we know how rapidly changing the environment is and how now is the time to be re-evaluating your families emergency food supply so to be ready for the crazy times coming to a city near you. It's time to see that you have enough emergency food and water put aside while it's still available. 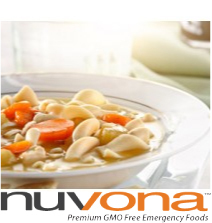 Speaking of food, Nuvona Premium GMO Free Foods are made from the finest quality ingredients available and ideal for eating anytime you want something quick, simple and nutritious. Take it on your next camping, hunting or fishing trip or better yet your next expedition to Everest. 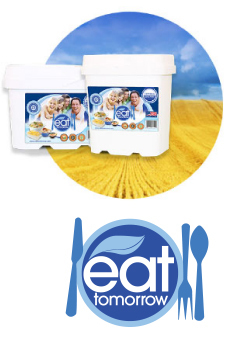 Relief Foods produces a high-value, long-lasting, easy solution to food storage. We offer preparation for life’s unforeseen events with your family in mind. Each of our products has been developed to provide relief to individuals and families during times of crisis. Our business and our products are founded upon the idea of being the value leader. To be a value leader we produce our products with equal attention to both quality and price.